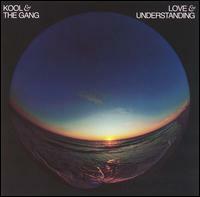 Love & Understanding is the seventh studio album by the funk band Kool & the Gang, released in 1976. The album had mild success. Three tracks, "Hollywood Swinging", "Summer Madness" and "Universal Sound" were recorded live at the Rainbow Theatre in London, England. The song "Summer Madness" was used in the motion picture Rocky as radio background during a scene in Rocky's home. It is also featured in the soundtrack of the videogame Tony Hawk's Project 8, Grand Theft Auto: Vice City, and in a Nike commercial. "Hollywood Swinging" is featured in the soundtrack of Grand Theft Auto: San Andreas. ^ Hanson, Amy. "Kool & the Gang: Love & Understanding > Review" at AllMusic. Retrieved 29 October 2011. ^ Qualls, Eric. "Tony Hawk's Project 8 Soundtrack List". Xbox Games. About.com. Retrieved 29 October 2011. ^ "Soundtracks for Grand Theft Auto: Vice City". IMDB. Retrieved 29 October 2011. ^ Bramwell, Tom (26 October 2004). "GTA: San Andreas soundtrack listing". eurogamer.net. Retrieved 29 October 2011. "Take My Heart (You Can Have It If You Want It)"
This 1970s R&B/soul album-related article is a stub. You can help Wikipedia by expanding it. This page was last edited on 24 October 2018, at 14:12 (UTC).